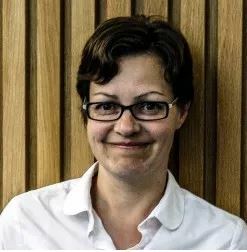 Lara Speicher is Publishing Manager of UCL Press, the UK’s first fully open access (OA) university press, where she has spent the last two years setting up the Press from scratch. Speicher will be speaking on the Publishing Technology-curated panel entitled ‘What is a Publisher Now? Yes, it’s Open: But Where on Earth is it?’ taking place at next month’s London Book Fair. We caught up with her recently and took the opportunity to ask her a couple of questions. Publishing Technology: What does a typical day in the office of Lara Speicher look like? LS: On most days I have several meetings: these are usually board meetings; meetings with academics in UCL interested to hear more about what UCL Press can offer with colleagues in UCL Press; or with authors and journal editors, suppliers, and other publishers. In between, I write a lot of emails, read new proposals, write proposals for new projects or new business developments, and prepare presentations (presenting at conferences is an increasing part of my role). You launched UCL Press back in May. What has the response been so far? LS: We officially launched with our first titles in June 2015, but we had been setting up for a year and half before then. There has been a fantastic response from the moment our first call for proposals went out to UCL academics in February 2014. We’ve had around 150 proposals for books and at least 20 for journals in two years, so there’s been a terrific response from UCL academics wishing to publish their books with us. We’ve also had a great response in terms of readership – the 11 books we’ve published during the last nine months have been downloaded nearly 25,000 times in over 160 countries. The review coverage and media attention our books have received has also been very positive. Being the first strictly Open Access university press in the UK, would you say UCL Press is shaking up the industry? LS: I think we could say that our model is proving to be very interesting to other institutions, both those considering setting up their own OA press and existing presses. The OA movement is certainly highlighting the fact that scholarly monographs have the potential to reach a much greater audience via OA than they do via traditional means, and this is an attractive proposition for an increasing number of academics and institutions. If more institutions start taking more of an active role in publishing their academics’ work as OA, as UCL has done, that does have the potential to shake things up. As David Prosser, Director of RLUK (Research Libraries UK) said recently at the conference of UK university presses in Liverpool, an outstanding university press and an outstanding library both reflect well on a university and they should be supported and nurtured. Can you tell us a bit about the ‘Why We Post’ project and why it’s important? LS: ‘Why We Post’ studied the use of social media in eight different countries round the world including China, Brazil, England, India, Trinidad and Turkey. Nine anthropologists spent 15 months immersed in communities in those countries, studying how people used social media using the same methodology – to allow for direct comparisons. Some fascinating and surprising insights emerged that overturned many of the assumptions people have about social media. The one that struck me most was from the industrial China study: One informant, a factory worker, told the researcher, Xinyuan Wang, that life outside her mobile phone was ‘unbearable’. The project is also important in that it has delivered its outputs via a range of means: a website featuring articles, blogs, key facts and videos; a MOOC (Massive Open Online Course) available in all the languages of the countries studied in the project; an exhibition of photographs and facts at UCL; and of course the books UCL Press is publishing – one book covering the entire project, How the World Changed Social Media, and nine others based on the individual countries. This combined activity means that the research findings have been made accessible to the widest audience possible. Why would someone choose to publish on Open Access? LS: Because of the huge number of readers you can reach around the world. How the World Changed Social Media has been downloaded over 5,000 times in just over two weeks. Most scholarly books sell 300-400 copies globally in their lifetime. That book is quite exceptional, but all our books have been downloaded at least 700 times. In what ways is your offering more innovative than others? LS: As well as offering free PDFs, we also plan to offer our books on a free browser-based platform that has additional functionality such as the ability to highlight, take notes and share personalised copies of whole books or chapters. We are also developing a ‘BOOC’ – Books as Open Online Content, for publishing the outputs of the British Library/AHRC funded project, ‘The Academic Book of the Future’. This will allow a wide range of content, such as videos and blog posts, as well as articles to be published, and to navigate and organise the content in a number of ways. The ‘BOOC’ will be added to gradually over a period of time. PT: What would you say are the main benefits of being an Open Access publisher, as opposed to a more traditional publisher? LS: The main benefit is knowing that our books are reaching a wide audience all over the world, many of whom would never have the opportunity to read the book in print form. PT: How are you ensuring that UCL Press represents the full spectrum of academic research interest across all disciplines? LS: We haven’t set out to do that. We are open to publishing in all disciplines taught at UCL, but we recognise that many disciplines already have well-established and preferred routes to publication – whether OA or not. We are delighted to provide another publishing option for UCL academics, a genuine OA alternative that benefits both the academic and the institution. The majority of the proposals we’ve had so far have come from the arts, humanities and social sciences, particular archaeology, anthropology and urban studies. This is perhaps not surprising, considering the size and calibre of UCL’s Institute of Archaeology and Bartlett School of Architecture in particular. But we are eager to work with anyone who is interested in publishing their research as OA. PT: In what ways are you supporting early career researchers and first book publishing? LS: It can be very beneficial to early career researchers to have their book published as OA, because of the increase in readership. However, many ECRs feel that their priority should be to publish with a well-established prestige press – especially at a point in their career when they are trying to establish themselves. We have had a number of proposals from ECRs and welcome more. We recently ran an ECR workshop to explain the benefits of publishing OA and to describe what UCL Press can offer, and we frequently give talks about publishing to MA student groups. PT: What have been the biggest challenges in running UCL Press so far? LS: Some of the biggest challenges have actually been positives. For example, it was particularly challenging to receive many more proposals for books and journals than we had anticipated and before we were really fully ready in terms of staffing and infrastructure. But that is the kind of challenge that we are happy to have! Apart from that, the challenges have been largely manageable, because key factors are in place, such as high-calibre authors – UCL has many fantastic academics, who are producing exciting research and who have already bought into the principles of OA. PT: What’s in the pipeline for UCL Press for the rest of 2016 and beyond? LS: We will be publishing more books in the Why We Post series, including the two books on Social Media in China (one on rural China and one on industrial China), as well as our first two textbooks, one on Public Archaeology and the other on Plastic Surgery. We also launch our browser-based platform for monographs, and the Academic Book of the Future BOOC. We hope to publish nearly 20 books this year and around 30 books next year, and the proposals keep coming! We celebrate UCL Press’s first anniversary in June, so we need to start planning!